JHA Techspace provides a variety of safety hood styles designed for the exhausted removal of harmful vapors, fumes, gasses & dust particles. 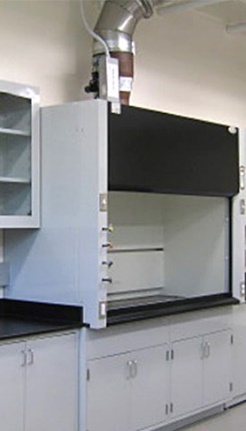 We have fume hoods designed for most applications in scientific, biological, chemical & related industries. Standard sizes are 3’, 4’, 5’, & 6’. 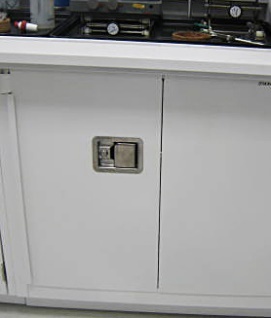 We offer a full range of materials, safety sashes, utilities, valves, sinks, electrical outlets, ‘dished’ bases for liquid containment (typically epoxy resin or phenolic resin) and other accessories to assure the optimal configuration. 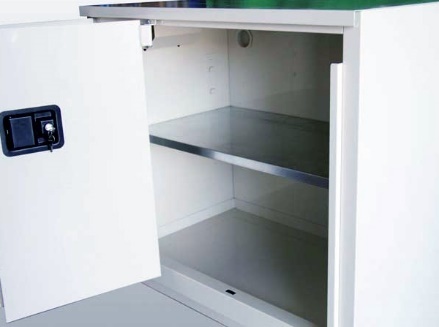 Most of our fume hood models are designed to be supported by our anti-flammable or anti-corrosive storage cabinets, but they’re also available for ‘table-top’ placement on existing countertops. 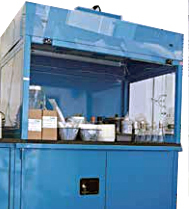 Ducted Fume Hoods: The traditional design, with exhaust via facility ducting to the outside. The hoods include collars for attachment of customer provided ducting & venting system. 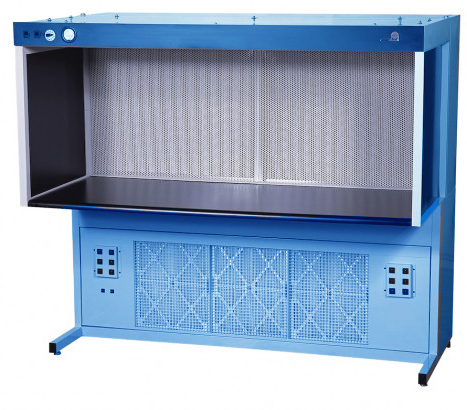 Ductless Fume Hoods: For lower levels of hazardous materials, self-contained ductless hoods draw air and recirculate it through special carbon filters contained within the hood. 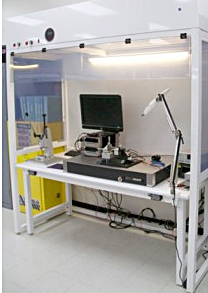 Free-standing workstation design, with integrated worksurface (select from various materials), motor/blower assemblies, electrical, optional monitoring, etc. 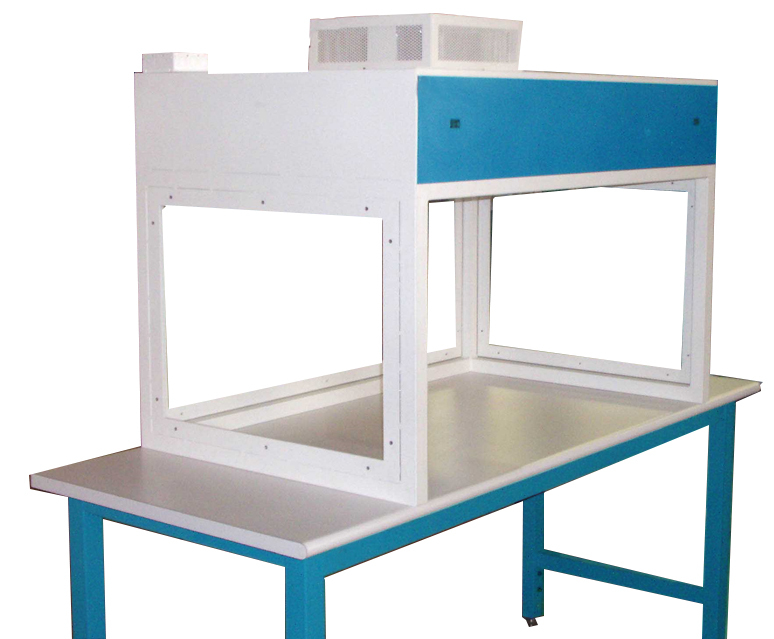 Table-top horizontal laminar flow model with filter fan unit on rear is also available.